This concept sketch was created in 2015 for a brewery that was looking to maximize their production. By reconfiguring their existing brewhouse and cellar areas I was able to show how they could increase their production within their existing building. This created the opportunity for additional square footage for the retail area, incorporate a conference room for their use as well as public use, and maximize their already popular outdoor beer garden experience. This layout took a few days to create and showed them possibilities of how they could create what they wanted for the short term without having to purchase land and build a new facility until it met their growth goals. 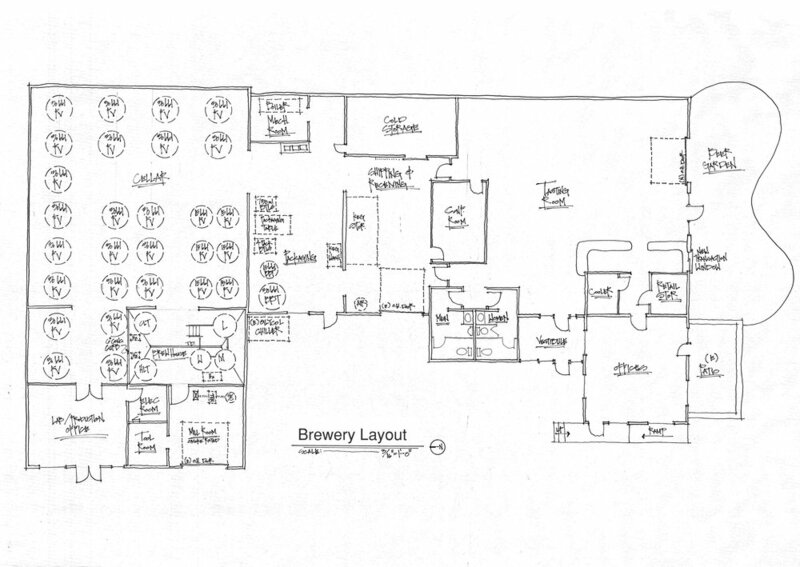 By applying principals of space planning to brewery layout and design I'm able to create efficiency in production flow that maximizes the square footage dedicated to the manufacturing process.